All County Window Cleaning has cleaned hundreds to thousands of commercial windows over the past 20+ years, and if there’s one thing we’ve learned, it is this: Sparkling windows are not only a reflection on your business: they’re a reflection on ours. 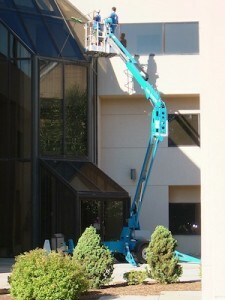 That’s why we guarantee your satisfaction with every commercial window cleaning job. Our exceptional quality and service are unmatched. We are a local family run business, which means you will receive a personal touch. From our custom commercial cleaning programs to detailed invoicing, we’ve made window cleaning hassle-free. Regardless of your budget, we can put together a program that meets your businesses needs. For All County Window Cleaning, there is no job too big or too small. Our uniformed professional commercial window cleaners can handle everything from a local restaurant to a national discount superstore. Whether we are visiting your business once a week or twice a year, you can rely on us to show up. All County Window Cleaning provides you the peace of mind that we have highly trained, insured cleaners that will be maintaining the appearance of your business. Let All County Window Cleaning brighten your world at work. 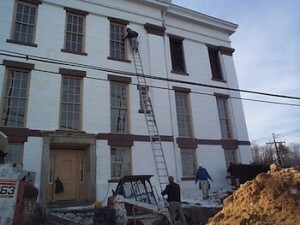 Give us a call now for more info, or to book a window cleaning appointment for your commercial property 973-827-8311. Proudly Serving the Hudson Valley and Northern NJ.